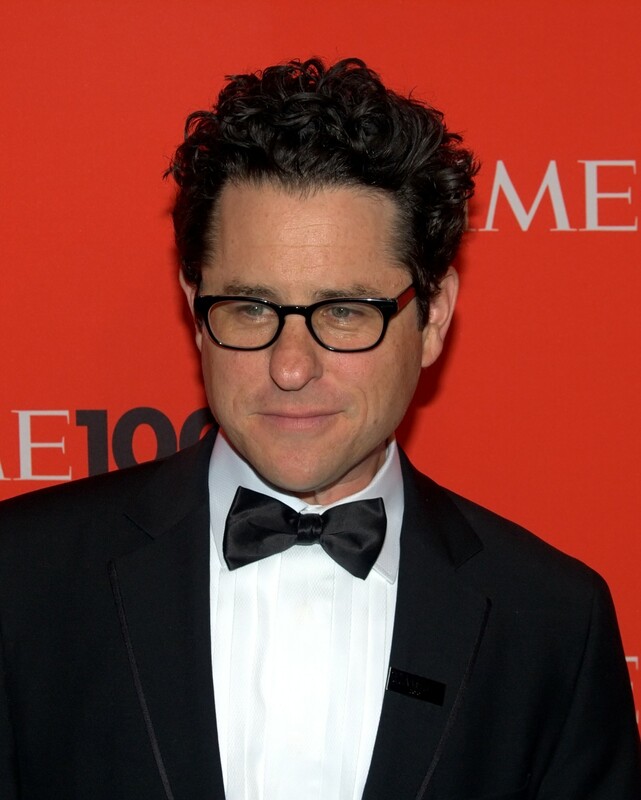 With the imminent arrival of Star Trek Into Darkness, I have decided to take a closer examination of one of Hollywood’s best marketers: J.J. Abrams. For the record I should point out that the public is unaware if said genius comes directly from Abrams or is simply from a mind at his studio, Bad Robot. Regardless, Abrams takes the credit – both in the public eye and as the subject of this blog post. From TV to the big screen, no one knows how to turn heads like Jeffrey Jacob Abrams. One of the top players in Hollywood and arguably its best showman. To understand how Abrams markets the films he’s attached to, one must first examine this principle: the monster behind the door is always the scariest. What does this mean? Simply put it means that our imagination is more powerful than anything realized. The monster behind the door is scariest because we can’t see it, therefore the mind dreams up all sorts of horrific possibilities as to what it might be. Once it is seen, it can be rationalized. There is nothing scarier than the unknown. That’s lovely but why am I talking about monsters? Well it follows logic, if our mind is the strongest tool when it comes to fear then why not excitement as well? This is the principle Abrams and the people at Bad Robot operate under. They believe (rightly) that audiences will go crazy over a tease and that teasing itself can be the best way to create hype. Let me show you what I’m talking about. Watch this teaser: http://www.youtube.com/watch?v=IvNkGm8mxiM. Remember that? That was the teaser for Cloverfield (not that you could tell because they don’t even give you the title). Here is the Abrams bump in its full glory. He did not direct that film, Matt Reeves did. This is a time when Abrams is working only as a producer and doing his job very well. I don’t know about any of you but I believe that is the most memorable teaser I have ever seen. I can remember the first time I saw that in theaters – I can’t remember what movie I was seeing that day – but I remember seeing the teaser and going nuts over it. What is going on? What is attacking the city? What could do that to the Statue of Liberty? 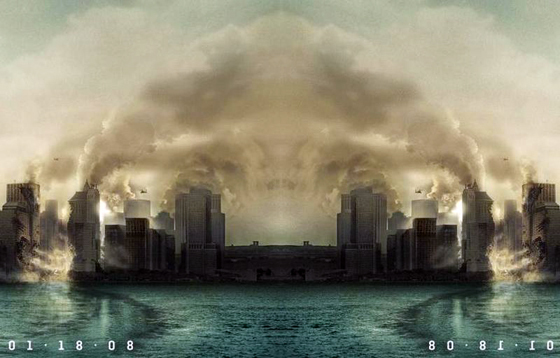 So began Cloverfield‘s marketing campaign. It is one of the most financially profitable films to ever be released in January (it made nearly 200 million on a budget of 25 million) and it’s not hard to see why after that teaser. Not that trailers are the only weapon in J.J. Abrams arsenal. He is the undisputed master of viral marketing. This image from San Francisco was echoed across every major city in the United States. Viral marketing is a wonderful new invention made largely possible by our friend the internet. Thanks to the world wide web, it is now possible to generate community buzz in a way that was before only dreamed of. The most wonderful thing about it is that actual movie footage is completely unneeded. Where else but the internet would people study and manipulate posters to try and find images? This photo above shows an attempt to see the monster’s silhouette by flipping two posters against each other. In large part, the strategy used for films like Cloverfield, Super 8 and even Star Trek was perfected through Abrams’ efforts with television. While the producer/director has had hit series like Alias and Fringe: do you remember Lost, what show in television history has ever had more fan involvement than Lost? 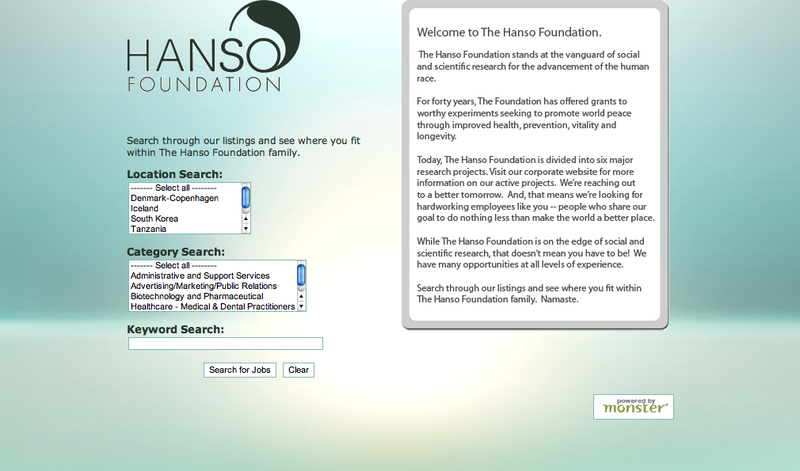 The fan theories, the DHARMA Initiative, Bad Twin, The Hanso Foundation – all part of the Lost Experience. Yes, this was its own thing – look at the wikipedia page (http://en.wikipedia.org/wiki/Lost_Experience), there has never been, before or since, a show that has so successfully enraptured fans’ attention and curiosity like Lost. Abrams may not have been super involved via directing or writing, but he made that series into an art form. Want to watch six seasons exploration of the “what’s behind the door” theory, go take a look at Lost. Did this have anything to do with the series: no. Did that fact matter: absolutely not. I have never had more fun with a show outside of Lost. 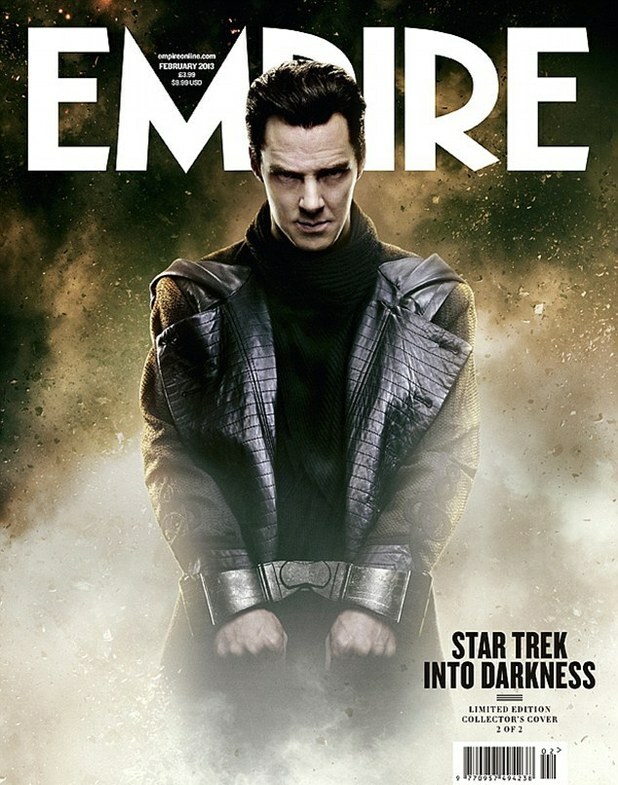 The identity of Benedict Cumberbatch’s character in Star Trek Into Darkness has been at the center of its marketing campaign. The official name at the moment: Benedict Cumberbatch is playing a man named John Harrison. There are fewer people on the internet who believe in the moon landing than believe that this is anymore more than an alias. What does it matter, 90% of them will be crowding the theaters in the next few weeks to find out the truth. Incidentally: if you don’t want to be spoiled, stay off of Star Trek Into Darkness‘s wikipedia page… that is just not cool. What it really comes down to is the incredible ability of draw. Abrams has figured out a way to pull people into the theaters. Most out there don’t like spoilers. How anti-climactic is it to read the truth on a page after months of speculation? It’s boring and ruins the game. Yeah, Abrams has made movies and television interactive by adding mystery and inviting the audience to solve it. A great and proven strategy that has been emulated by movies and TV shows alike. Remember how many shows out there tried (and are still trying) to be the next Lost? Remember that cool viral marketing campaign for The Dark Knight? All because of Abrams. He has ushered in a new age of marketing to the cinematic experience and the media is much more fun for it. I can’t guarantee anything about Star Wars: Episode VII (Abrams next directing effort, I’m not lying) right now beyond this: Abrams + Star Wars is going to be the most hyped-up, most highly marketed thing that any of us are likely to see in our lives. I’m just getting ready to enjoy the ride. 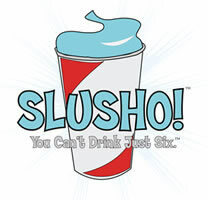 Remember Slusho!? Did this have anything to do with anything? What was going through your head, J.J. Abrams? Be sure to check back tomorrow to read my spoiler-free review of Star Trek Into Darkness! What was the dark knight viral campaign? The Dark Knight viral campaign focused on the antagonists. There was the big (and at the time disappointing) reveal of the Joker’s face coupled with the “I Believe in Harvey Dent” memorabilia and websites that floated around.